Increased productivity is one of the things many working professionals and entrepreneurs strive for in their job — and one of the ways to increase productivity is to hire a virtual assistant. However, even after you have done this, there are other things that you can do to take productivity to a completely new level. Below are four apps that will help you and your virtual assistant to be even more productive. When everyone knows the goals of a project, the tasks that need to be done, the deadline, and the current progress of each person, productivity goes up significantly. Asana offers you the ability to keep track of all these things and more! It allows you to manage your team, assign tasks, and let employees know what needs to be done. Responsibilities are clearly assigned to each member, meaning that people are held accountable for their work. This will increase productivity and enhance work quality. Asana also allows you to set tasks, prioritize them, and set a deadline. This means that your team will know where to focus their efforts first, ensuring that the task is done on time. Furthermore, you can coordinate tasks and communicate ideas on the app, allowing everyone to see it at once. A vast improvement to slow email communication, Asana is perfect for making sure that everyone on your team is on the same page. You know that effective communication is crucial for productivity. However, sometimes even written messages are not effective enough to convey new concepts or ideas. Loom offers a solution to this problem by allowing you to send video-voice messages, voice recordings, or plain old video messages to your team. This is a great way of providing a “how to” guide and showing visual ideas. By creating a prerecorded video or message, you don’t have to waste time writing long emails or messages. Furthermore, since it is a recording, you can send it to your team from anywhere, eliminating the need for a meeting, a huge time waster that negatively impacts productivity. If you need to show your virtual assistant how to do a task, Loom is the perfect tool. Having a strong social media presence is becoming more and more necessary for businesses worldwide. This means consistently posting content and marketing to your audience on various platforms like Facebook, Twitter, and Instagram. Managing so many different accounts is time-consuming. Fortunately, you can streamline this process using Hootsuite. The app allows you to manage all of your social media accounts from a single dashboard. This can save you a lot of time in the long run and allow you to get on with more important work. A fantastic feature to ensure that you are posting new content consistently is the scheduling tool on Hootsuite. This tool allows to upload content in advance and set a time and date for it to be posted. Once you’ve uploaded and scheduled everything using the tool, the posts will be published automatically when the scheduled date arrives. This allows you to plan posts for weeks in advance without having to worry about it until the final post is made. G Suite has many useful tools for increasing business productivity including Gmail, Docs, Drive, Calendar, and more. For example, Google Docs allows teams to share documents and let others view or edit them. This is great for content creation as writers can upload their files and allow you or an editor to quality check it. There is also Gmail that allows each employee to have a dedicated company email. This means all company-related communication won’t be lost amongst personal emails or put in the spam folder, helping communication to be more effective. Google Hangouts is also useful for video conferencing with your virtual assistant and team, allowing you to talk quickly and in real time. This, again, helps improve productivity. 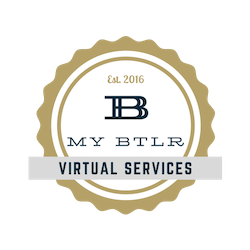 If you’re looking to scale your business, you may want to hire a VA. My BLTR is one of the best places to find a virtual assistant. Contact us today and see what we can do for you! We're looking for great people to match with great clients. Have time to give? Looking for flexibility? Want to be your own boss? Our virtual assistants get paid for giving people their time back. 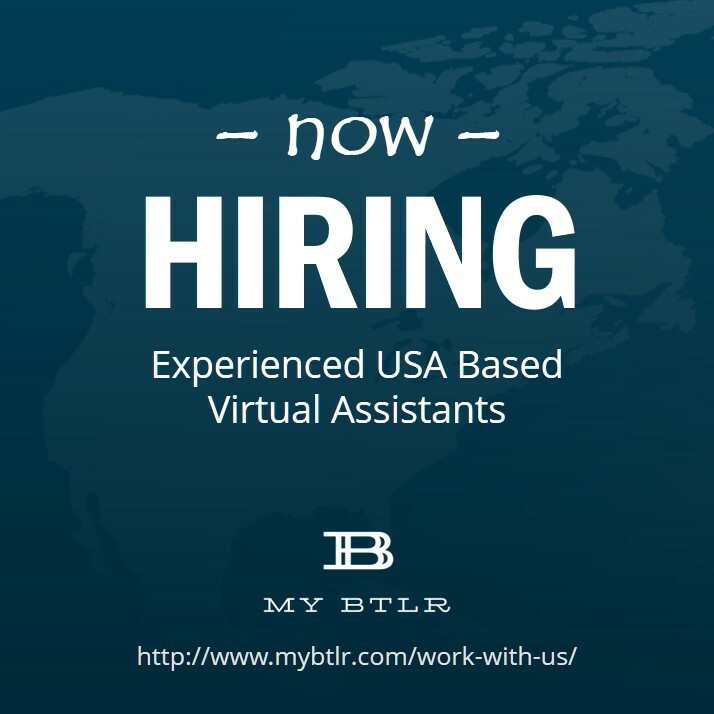 Visit us as www.mybtlr.com to apply.